According to Keller, if you’re on a college campus, you’re on the culture’s cutting edge. It is, he says, our best leadership development pipeline. By exposing people to the cutting edge of culture where they have to deal with the modern mindset, where they have to deal with non-Christians — that, in Keller’s opinion, is the best way to develop pastors and lay leaders. Read the whole article here – worth the read for Keller’s insights on where our culture is headed and what we need to do about it. 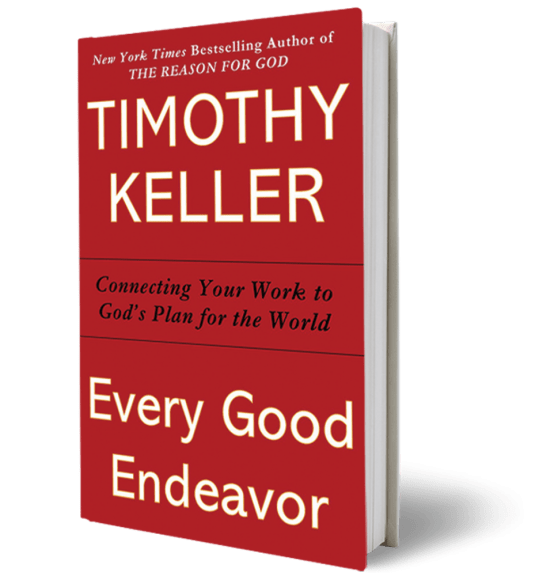 Tim Keller’s Every Good Endeavor has been on my nightstand to-read stack since it came out. While I still plan to read the book…in the meantime this is a helpful, well organized overview of the book, chapter by chapter. 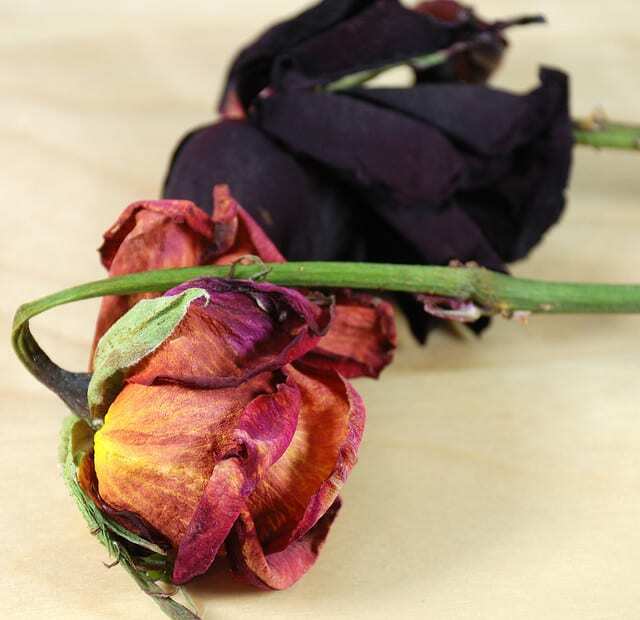 If this life is all there is… everyone will be forgotten, nothing we do will make any difference, and all good endeavors, even the best, will come to naught…Unless there is God. If the God of the Bible exists, and there is a True Reality beneath this one, and this life is not the only life, then every good endeavor, even the simplest ones, pursued in response to God’s calling, can matter forever. Without meaningful work we sense significant loss and emptiness…Work is one of the ways we make ourselves useful to others and discover our identities. Work of all kinds, whether with hands or minds, evidences our dignity as human beings because it reflects the image of God the Creator in us. Choosing Work: “How, with my existing abilities and opportunities, can I be of greatest service to other people, knowing what I do of God’s will and human need. Since we already have in Christ the things other people work for, salvation, self-worth, a good conscience, and peace – now we may work simply to love God and our neighbors. If you have to choose between work that benefits more people and work that pays you more, you should seriously consider the job that pays less and helps more – particularly if you can be great at it. All work is objectively valuable, but it will not be subjectively fulfilling unless you see it as a calling to love your neighbor. Today young people are seeking to define themselves by the status of their work. It is a major identity marker. Many college students do not choose work that actually fits their abilities, talents, and capacities, but rather choose work that fits within their limited imagination of how they can boost their own self-image. Three kinds of jobs they see – those that pay well, those that directly serve society’s needs, and the cool factor. Results in students choosing work that doesn’t fit them or fields too competitive for them. Sets them up for dissatisfaction / meaninglessness. If we have the luxury of options, we should choose work that we can do well – what’s something you can excel at? You know me. I like sharing. One thing I wish people would share more of is what sermons they’ve listened to recently that they enjoyed. So in the spirit of the Golden Rule . . . Here are some sermons I’ve listened to recently that I loved. I’m talking mind-blowing. Leave a comment and share with all of us what great sermons you’ve listened to recently. Skipped right over this on the Village podcast because, well, it wasn’t Matt Chandler. 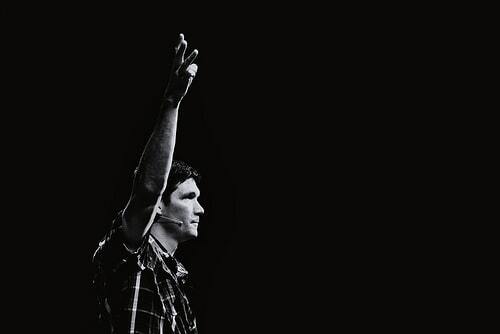 And Beau is definitely not Matt Chandler. In style, probably his polar opposite. Kind of like Keller (at least in this sermon), somehow enthralling despite its dry delivery. I think it’s good for us to be sobered by how horrible our discontentment is. It’s not just a respectable sin that we can deal with here and there. The first sin in the Bible is mankind being discontent with the blessings of God. Discontentment erodes worship, rejects ministry and hinders joyful obedience. It’s really hard to follow someone that you don’t trust, and it’s even harder to follow someone with whom you are angry. So discontentment is not the soil that joyful obedience grows in. Do you think you’re going to be obedient to God when you’re frustrated with Him and you don’t trust Him? The main issue in our prayerlessness is we have a problem believing and grasping that God likes us, enjoys us and delights in us. I do not think that you struggle with believing that God likes you ten years from now. Because you ten years from now is awesome. You’ve got to hear this invitation as it relates to prayer. Because the invitation isn’t, “Start doing what’s right.” The invitation is, “Come to Me. You’re not doing what’s right.” So the solution to what ails us, what weighs heavy on us and what exhausts us is not us trying harder at overcoming those things, but it’s rather us coming to Jesus, walking with Jesus, being in a relationship with Jesus that overpowers our affection for the struggle. 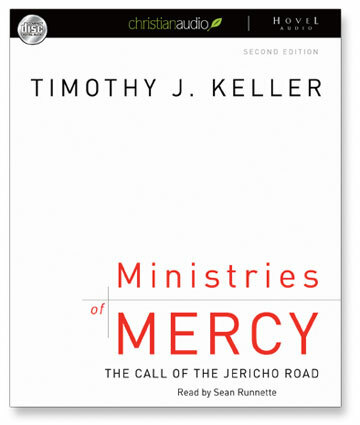 Keller helps us “Behold the lamb of God” through unpacking one of THE dominant threads of the Bible. Brilliant in making clear (even to a secular mind) the need for substitutionary atonement. A Christmas message that matters all year long. 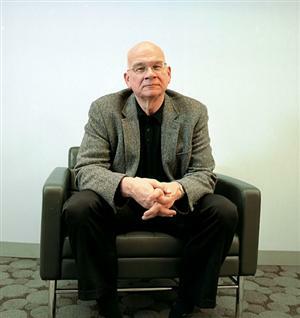 Tim Keller takes a sometimes trite phrase “God with us” and makes it come alive. Why “God with us” should excite and transform us. Share the wealth – what great sermons have you listened to recently? I started this blog because, as Russ Martin said in Tithing your Time Online: “By spending five minutes to upload the presentation from your last small group leader training you could save someone hours”. It’s one of the primary reasons I read so many blogs – to quickly glean from others and use their thoughts for Cru talks, Bible studies, and staff coaching. I feel that it multiplies my time (requiring a lot less prep/admin time so I can spend more time with staff and students). I’m also using this question from Tim Norman in Bible Study today: “Why do you think it’s important to read the Bible?” followed by his Devil’s Advocate questions and study of 2 Timothy 3:16–17 he lays out in his post (he just started blogging – you should definitely subscribe! And not just cause he’s my boss). 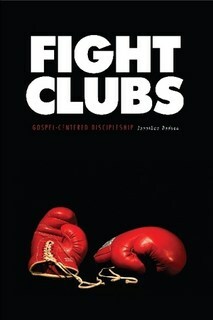 For the next five weeks in our Bible study, we will be reading through a chapter a week from Fight Clubs. I’ll have them read through the chapter during the week and then discuss and apply during Bible study. The “Bible” part of our Bible Study discussion will come from digging deeper into the various passages in each chapter. Unfortunately, it doesn’t look like this e-book is free anymore. You can preview the intro and 1st chapter here. Or buy it here. What are you using right now for BIble Study and Discipleship? I’ve been working on new material for an Apologetics training class I’m teaching and came across this great article from Tim Keller that deals with Defeater Beliefs (that his book Reason for God deals extensively with). Defeater Beliefs are commonly held ideas that make it impossible for someone to believe. “The more negative aspect has to do with ‘apologetics’ – it consists in deconstructing the culture’s implausibility structure. “If you try to do apologetics before you pull off a quick, attractive presentation of Christ, people’s eyes will glaze over and they will become bored. “Brief gospel summary. First, the gospel must be presented briefly but so vividly and attractively (and so hooked into the culture’s base-line cultural narratives) that the listener is virtually compelled to say “It would be wonderful if that were true, but it can’t be!” Until he or she comes to that position, you can’t work on the implausibility structure! The listener must have motivation to hear you out. That is what defeaters do – they make people super-impatient with any case for Christianity. Unless they find a presentation of Christ surprisingly attractive and compelling (and stereo-type breaking) their eyes will simply glaze over when you try to talk to them. Dismantle plausibility structure. Alvin Plantinga wisely asserts that people avoid Christianity not because they have really examined its teachings and found them wanting, but because their culture gives huge plausibility (by the media, through art, through the expertise and impressive credentials of its spokespersons) to believe a series of defeater beliefs that they know are true, and since they are true, Christianity can’t be. I highly encourage reading the full article. A ridiculous/interesting article chastising Tim Tebow for “blowing” his entire $2.5 million signing bonus on donations to charities (what a great imitation of our Prodigal God; prodigal= recklessly extravagant). If you work with young people – high school or college (or have kids) you have to start reading Tim Elmore’s blog (I know many of you already do). Though I’ve received his e-mails for years (and have some of his books) I just checked out his blog for the first time this weekend. Incredible insights. This post in particular is good. Another great resource for college ministers that some of you may have missed: Subscribe to the monthly emails from Ivy Jungle. Great bullet point news items that relates to college students and college ministry.